Real estate appraisals have been dogged by allegations of undue influence and outright fraud throughout much of the past decade. But new financial reform legislation aims to resolve many of the seemingly intractable issues. The Dodd-Frank Wall Street Reform and Consumer Protection Act should result in more reliable appraisals, according to Ken Chitester, a spokesman for the Appraisal Institute in Chicago. “The new law will protect consumers by encouraging the use of highly trained and competent real estate appraisers with much-needed resources for oversight and enforcement,” he says. Sunset a problematic industry agreement known as the Home Valuation Code of Conduct, or HVCC. “All of those are positive things,” Salvant says. Appraisals may seem an arcane subject, but appraisal reform should be of interest to homebuyers and homeowners. An improper valuation can derail a buyer’s mortgage or a homeowner’s refinance loan. The end of the HVCC is one major component of the new reform. The HVCC was supposed discourage the practice of lenders putting inappropriate pressure on appraisers to value properties at a certain price. But the code had some unintended consequences. For example, thanks to the code, many more appraisals were ordered through appraisal management companies. These businesses take a sizable cut of the appraiser’s fee and have sent appraisers out to properties far afield from neighborhoods they know well. As a result, these appraisers have been undervaluing homes, putting countless potential sales in jeopardy, according to critics of the HVCC. Appraisers and realty brokers are likely to applaud the HVCC’s demise, which will happen as soon as the new federal regulations are in place. 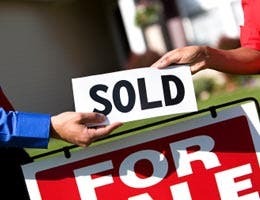 However, the change may not have a dramatic effect on homebuyers and sellers since parts of the code already have been incorporated into the lending guidelines of Fannie Mae, Freddie Mac and the Federal Housing Authority. That said, the end of the HVCC should help to clear up widespread confusion over who can present information — including data about recent sales — to an appraiser. The new law also regulates appraisal management companies, or AMCs. AMCs aren’t new, but they have gained more control over real estate appraisers and appraisals in the 15 months since the HVCC was implemented. The financial reform law requires federal oversight of AMCs controlled by federally regulated financial institutions. It also requires state registration of all other AMCs, according to the Appraisal Institute. Those requirements should help consumers find out who owns an AMC and get more information about these companies. AMCs will be required to pay appraisers reasonable and customary compensation based on fee surveys that exclude those companies, according to the Appraisal Institute. The amounts paid to the appraiser and AMC will be disclosed as separate items on the settlement statement that shows the closing costs of a real estate transaction. The Consumer Financial Protection Bureau will be charged with establishing federal rules to ensure appraisers’ independence. These rules will preempt or supplement existing federal and state appraisal laws and regulations, but little is known about the rules so far since they’ve yet to be proposed by the new agency. How many appraisals have you completed? How often do you appraise homes in this area? How familiar are you with the local market? Where do you get the data that you use in your appraisal reports?